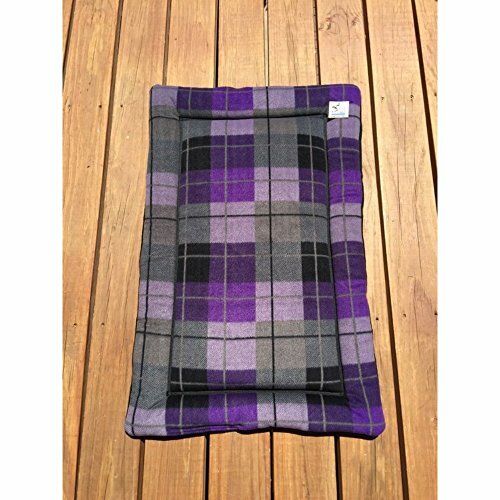 Your pet will really enjoy this soft fleece purple, grey and black pet pad. Makes the perfect dog crate pad, kennel mat or couch cushion. Use as dog bed, kennel mat, crate pad or just want a place to go to like sunning in the sun. You can move a pad easily around the house and you dog has a place that's his or hers to claim. These also made great chair pads for the pets that like to hop up on your furniture. Finished size is approximately 22x35". 1.5" thick. MIDDLE - 100% polyester batting. If you have any questions about this product by Comfy Pet Pads, contact us by completing and submitting the form below. If you are looking for a specif part number, please include it with your message.